HAVANA, Aug. 24, 2012 (Roberto de Jesús Guerra Pérez/Hablemos Press) – On Friday the Cuban secret police pursued and arrested librarians who had attended a technology workshop at the U.S. Interests Section in Havana. The arrests occurred in the streets adjacent to the Interests Section when the librarians, about 20 in number, were returning to their homes. “The workshop in which we were participating was on how to use an Amazon Kindle,” commented Lázara Mijan, who was able to escape the police roundup, together with Magaly Norvis Otero and Julio Beltrán. 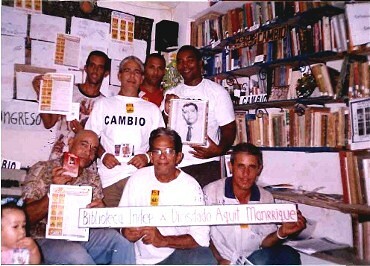 Among the detainees are Juan Antonio Madrazo Luna, Julio Rojas Portal and Mario Echevarría Driggs. Two Kindles were confiscated from each of the latter two persons, in addition to cameras, personal documents and user manuals for the Kindle DX…. “The police operation was big, very big. Many State Security agents were scattered in Ladas [Soviet-era cars] and motorcycles everywhere in the streets near the Interests Section; it was a miracle that some of the librarians were able to evade arrest,” said Driggs, after he was released from custody…. The Cuban regime classifies the independent librarians and dissidents as counterrevolutionaries at the service of the U.S. government. 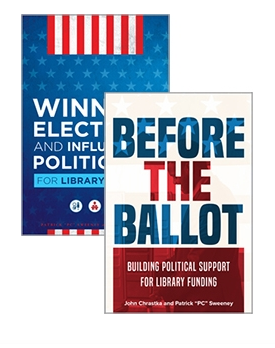 In 2003, more than 20 librarians were arrested and sentenced to prison terms of between 5 and 20 years, and their library collections were confiscated and burned. POSTSCRIPT: In a related incident, Alejandro Tur Valladares reports that on Sept. 4 independent librarian Eduardo Ramos López, while using a public telephone in Cienfuegos, was forced into a police car (license plate number: FDD 154) and taken to the local State Security office, where the two Kindles in his possession were confiscated. He was booked on a charge of “subversive activities” and released. Ramos López rejects the charge made against him by the secret police and said he would demand the return of the seized Kindles. 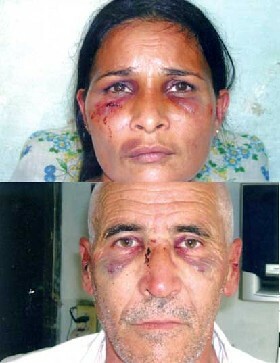 NEW YORK, Sept. 21, 2012 (Friends of Cuban Libraries) – INTRODUCTION: In 2006 the Friends of Cuban Libraries webpage published a brief article on a mob attack directed against Orestes Suárez Torres and Nancy González García, independent librarians living in rural Ranchuelo, Villa Clara province. A Google search of WikiLeaks documents has now disclosed a lengthy confidential memo on this subject by Michael Parmly, the chief U.S. diplomat in Havana. The confidential 2006 memo, an excerpt of which is published below, discloses grim new details on the government-directed attack on Suárez and González and the injuries they suffered. So far as we know, this press release by The Friends of Cuban Libraries is the first article drawing attention to this WikiLeaks memo. “Summary: Cuban communist militants brutally attacked two dissidents in Villa Clara province on October 10, the opening day of an extended ‘Congress’ of independent librarians. The attack, which lasted more than an hour… left a man of 53 and his wife, 39, with black eyes, deep bruises and cuts. The man also suffered broken ribs; his wife had her trousers virtually ripped off…. BOSTON, July 3, 2012 (Public Radio International) – With travel restrictions easing, more Americans can go and see Cuba themselves…. [Officially-approved used booksellers in Havana’s Plaza de Armas] are part of Cuba’s state-controlled book world. There are no independent bookshops…. Books are curated by the government…. But there is a flip side: a small literary underground, led by defiant Cubans with private libraries and e-books swapped on flash drives…. In another part of Havana, Gisela Delgado, a computer technician [and director of Cuba’s Independent Library movement], runs a private library from her small apartment. In 2003, the government cracked down and jailed 75 of the island’s dissidents, including independent librarians. Delgado was spared, but remains monitored…. And what the Cuban government deems inappropriate is arbitrary. When state police raided her library during the 2003 dissident crackdown, Delgado remembers asking agents how a book by Gabriel García Márquez could be confiscated. They said, “The problem isn’t the title of the book. It’s you,” she recalled…. Delgado, the librarian, doesn’t buy that. Money will not put books critical of the Cuban government on the shelves, she said. At issue is what her books surely symbolize: a thorn in the government’s side, dissent – and support from the outside world. Previous PostR-Squared, InfoPeople and Eureka = Awesome InspirationNext PostThe Biggest Thing to Happen to Library Advocacy EVAR!! 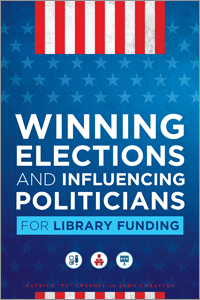 Hello Mr. Sweeney: Thanks for your coverage of the independent libraries issue. Amnesty International and other reputable human rights groups support Cuba’s pioneering indie librarians, in contrast to the lamentable proceedings of the ALA. Please feel free to consult with me regarding the most important issue in the field of international librarianship. Misinformation on this subject is rife, so I would appreciate any feedback.